for orders $49 or more. 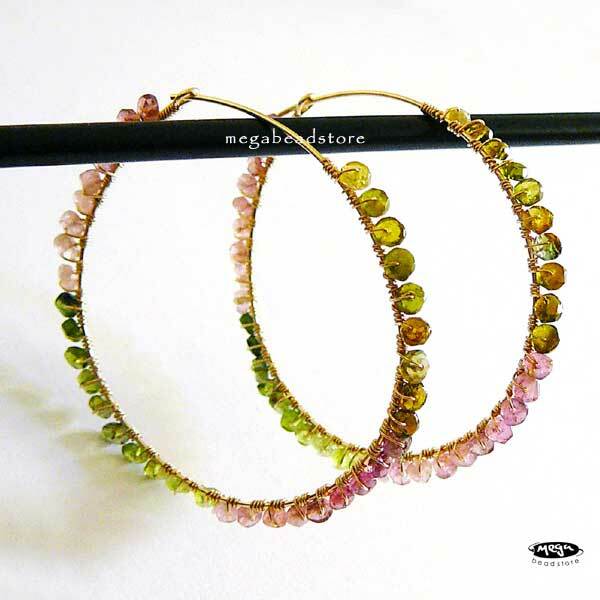 $3.00 shipping and handling for order less than $49.00. Step 1. 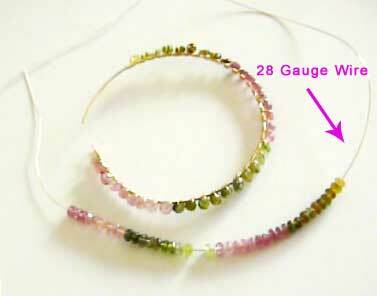 Cut 3 feet of the 28 gauge wire, and use it to string 40 pieces of the gem stone in the the pattern you want. 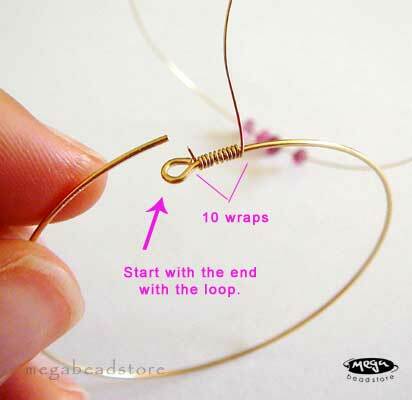 Tip: twist a small loop on one end of the wire so the beads don't come loose. Step 2. 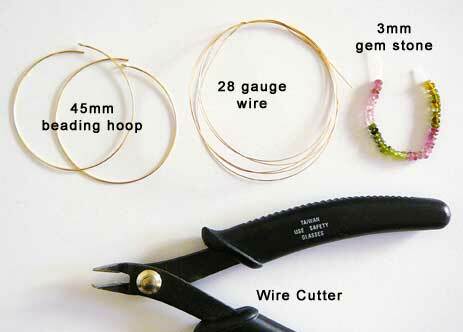 Using the 28 gauge (NOT the side with the twisted loop), start wire wrapping the beading hoop (start on the side with the loop), wrap 10 times. Step 3. 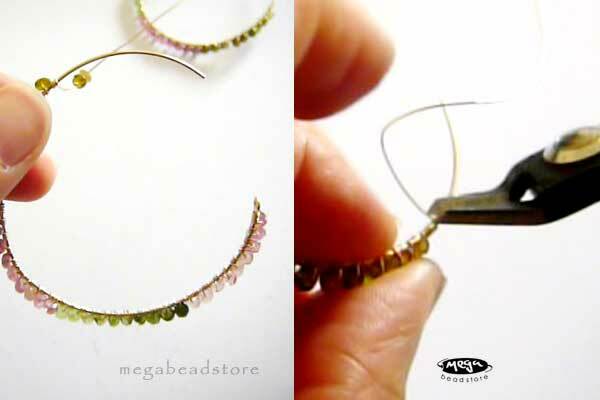 Bring the 1st bead down, hold it into position, then wrap 3 times. 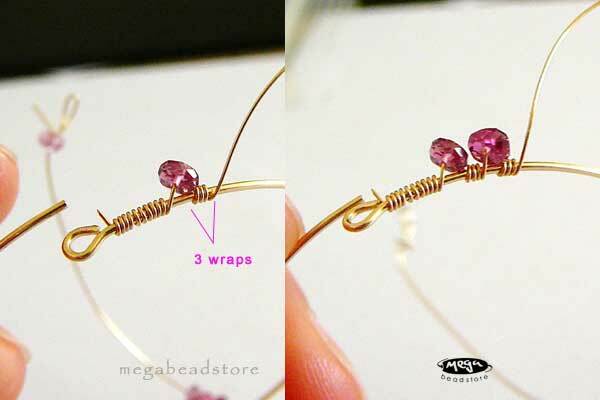 Bring the 2nd bead down, hold the bead into the same position as the 1st bead, then wrap 3 times. Repeat the same process until you wrap all 40 pieces. Step 4. Leave approx. 3/4 in. on the end, trim away the excess wire. This is very nice! The instructions are very clear, too! Absolutley stunning! Can't wait to make my own! What a very chic design, simple in appearance yet intricate in design. Just the basic premise sends my imagination into a whirl! 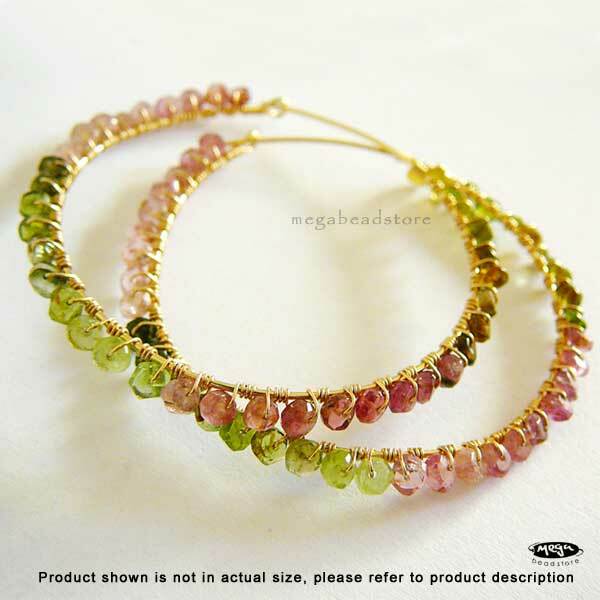 Copyright 2018 megabeadstore. All Rights Reserved.